Clear skies, waning/ or waxing moon( can not recall lecture) and Venus reflecting over Loch Bay to the west. Using the bins I could see the craters and the inner shadows on the moon. Satellites- 7 of them travelling-SW- NE, N-S, E- WS,NW-SE,NW-SE(through Orion) ,NE-SW this one was at 1925hrs. 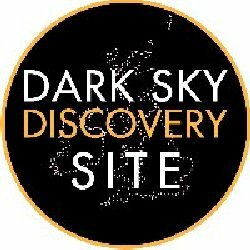 Another report: A lady on Waternish recently reported that she could not sleep and it gave her the opportunity to go outside her home at 2 in the morning and gaze at the incredible night sky above her!